Go Games on Disk – aka GoGoD – has passed another milestone, with more than 70,000 games now in the sgf database of professional games. “Many of these are modern Japanese, Chinese and Korean games which are not published on the internet, but we have also been delving back into Korean history, to find early games by Cho Hun-hyeon, Seo Pong-su, Kim In, Cho Nam-ch’eol as well as a rare sunjang baduk game from the 1970’s to add to our existing collection of such games played under ancient Korean rules, and previously unknown games from a visit Takagawa Shukaku made to Korea,” reports GoGod’s T Mark Hall. “These obviously do not appear in the collected games of Takagawa. 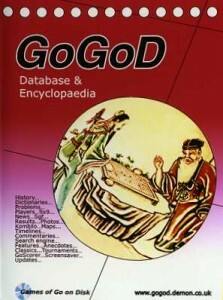 One effect of the growth is that we now have to use two CDs, one for the database and one for the encyclopaedia, but at no extra cost to our customers.” The latest GoGoD Encyclopaedia has been updated with more details of tournaments and events, as well as updated software for accessing the database faster. Email tmark@ gogod.demon.co.uk for details. 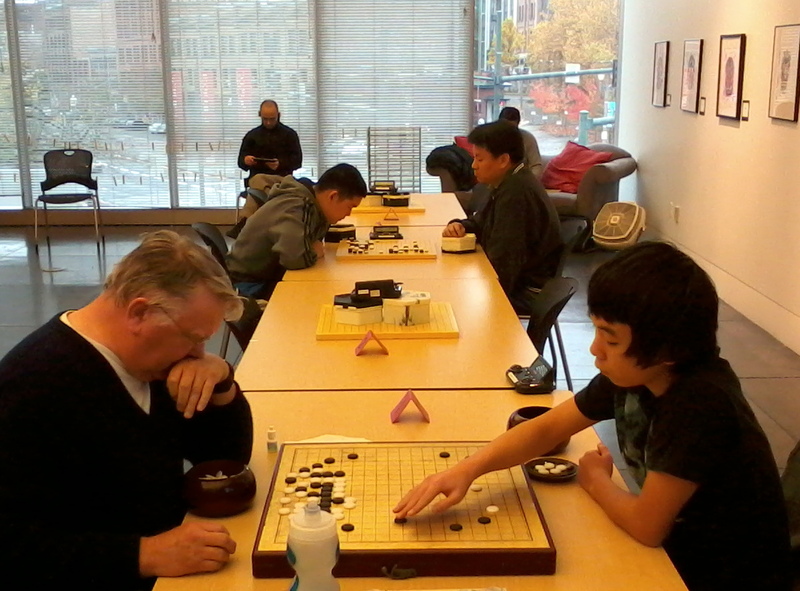 Edward Zhang has agreed to take over the American Go Association’s Volunteer Coordinator’s position, after Nick Jhirad’ s recent resignation, reports AGA President Allan Abramson. Karoline Burrall has agreed to assume the Tournament Coordinator’s position. “Our thanks to Nick for his efforts, and to Edward and Caroline for taking on these new responsibilities,” said Abramson. The first SportAccord World Mind Games will be held December 8-16 in Beijing, China. The multi-sport event is intended to highlight the value of mind sports and features five games: bridge, chess, draughts (checkers), go and xiangqi (Chinese Chess). 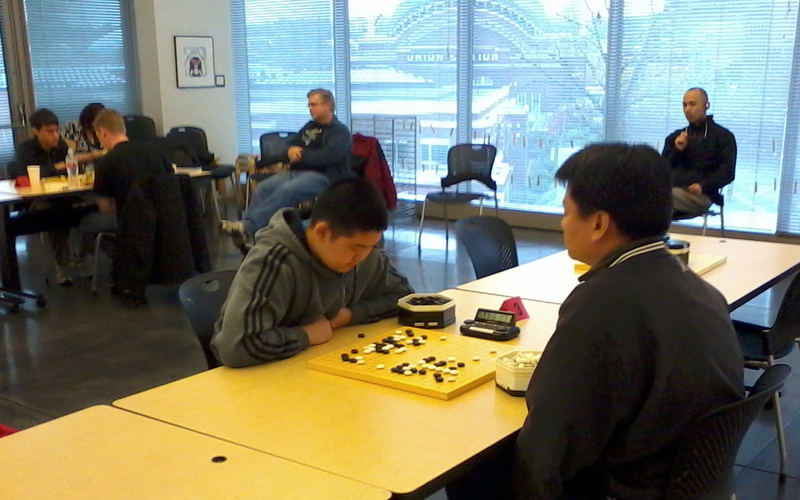 The SAWMG go tournament includes teams from China, Chinese Taipei, Europe, Japan, Korea and the U.S. The U.S. team (right), captained by Andy Okun, includes Feng Yun 9P, Mingjiu Jiang 7P, Ke Huang 7d, Jie Li 7d and Andy (Zhijuan) Liu 7d. Ranka Online will be covering the event, and you can also follow it on YouTube’s mindgameschannel. July 16: Today is Saturday, but the dojang is not open today because there is a tournament for the inseis. So Om, Chisu Yun, Cho Sun Ah, Masakito and I went sightseeing. We visited an old Korean palace which was really interesting and then we went biking near the lake even though it was raining really hard. There was also an awesome playground over near the river where we went zip-lining. Afterwards we went to the mall to eat and we spent some time inside a Korean music store listening to K-pop albums. When we got home there was a barbecue dedicated to the kids that went to the tournament. I can’t say Korean barbecue is good, but it was a good experience to be a part of a large gathering of celebration in Korea. July 19: Today is the day I go back to America. It’s sad that I have to leave just when I had just started to settle in. Before leaving I got to say bye to the handful of kids that are there in the morning. It was sad to leave the dojang and Korea. It would’ve been nice if I had got the chance to stay a bit longer and learn more. I got a lot of Korean Go books as gifts when I left. I got a book each on hangmae, pae (ko), and life and death, and a Korean Baduk magazine (which is not really helpful because I don’t understand it). I left the dojang at 12:30PM on an airport bus heading back to the Incheon Airport reading the Baduk magazine that Mr. Oh had given me. One day I look forward to come back to the dojang where I have found many good friends and teachers. 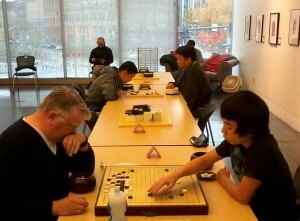 Pair Go is proud of its inter-generational appeal. 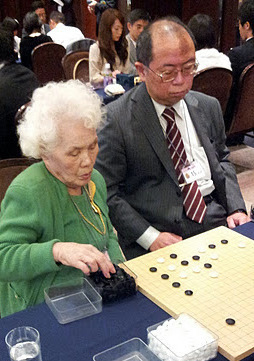 Many young children, elderly players and all ages in-between are drawn to the handicap tournaments staged with the annual International Pair Go Championships, which recently took place in Tokyo (Koreans Win Pair Go Championships). For a number of years, the oldest player has been Ms. Imayo Matsuyo, who turned 90 this year and hails from Ehime prefecture on the island of Shikoku. 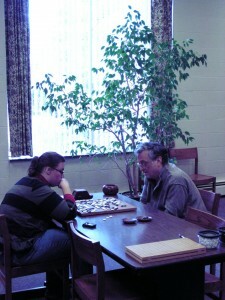 Longtime go journa list and E-Journal contributor John Power had a chance to interview her between rounds. EJ: What age were you when you learned go? EJ: How often and where do you usually play? On the Net? IM: No I can’t get the hang of computers. I play twice a week at a local go club. EJ: What is your rank now? IM: The female rankings are a little more generous than the male. I’d be about 3-dan in the male rankings. EJ: What is the appeal of go to you? IM: Being able to play with my son once a year. My daughter-in-law doesn’t mind my stealing him for go tournaments. Playing with him, I feel that I’m improving all the time. By the way, my go club team became the Ehime representative in the Nenrinpikku [a festival of a wide range of sports for players 60 and over] and took first place. 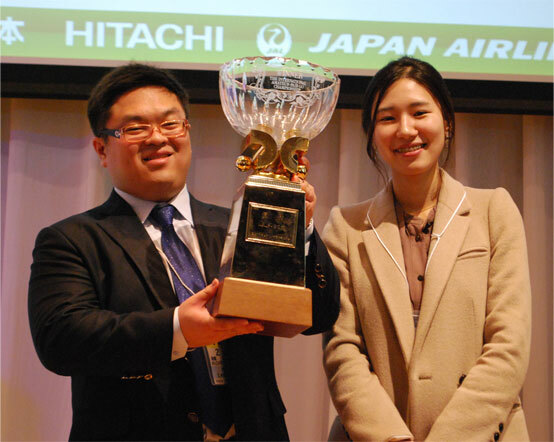 Read more about Ms. Matsumoto’s “Memories of Pair Go” in her essay submitted to last year’s 20th Anniversary Pair Go Prize Essays competition, available in English translation on the Panda Net HP. Also available online are essays by Thomas Hsiang (U.S.), Tony Atkins (U.K.), Kirsty Healey & Matthew Macfadyen (U.K.) and more. All 15 players at the November 19 Syracuse Self-Paired Tourney earned prizes for participating in the annual self-paired tournament, reports organizer Richard Moseson. The tournament was held at the Betts Branch Library in Syracuse, NY, and prizes included several books from Slate and Shell.